One of the great things about retirement is your freed-up schedule for all of the hobbies, events, and other activities, you couldn’t get involved in previously. In retirement, you can commit yourself to a volunteer group, vacation, and get involved in educational opportunities like never before. 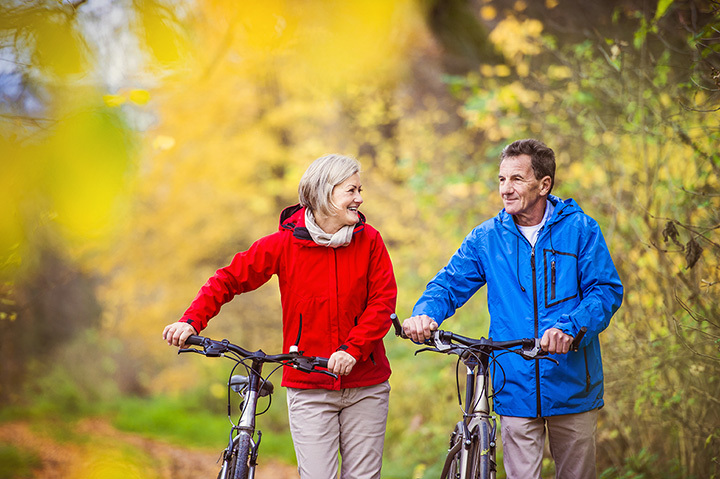 Here are 10 excellent retirement activities to do in Michigan. If you're around Farmington Hills, you may want to check out SOAR, the Society of Active Retirees. It's a year-round program that offers a variety of activities for its membership, ranging from lectures to field trips. Geared toward “lifelong learning,” you'll be able to check out a variety of fields with your contemporaries and disprove the adage about old dogs and new tricks. Head to Ann Arbor to look into OLLI, an offshoot program of the University of Michigan. OLLI, or the Osher Lifelong Learning Institute, provides much the same kind of material as SOAR does, but for a completely different town. With lecture series and field trips, you'll think it's the same thing, but OLLI distinguishes itself with small-group study opportunities and the After 5 series, which is a more informal small-group setting. Attendees don't even need to be a member of OLLI to get in on this action. Michigan Tech in Houghton offers a slate of activities to help keep its retirees in the swing of things, including mentoring, planning the alumni reunion activities, and a host of others. Naturally, this only applies to Michigan Tech retirees, but a little looking around will help you find the volunteer group that best fits your particular lifestyle and needs. If you've contemplated the writer's life and wished that you could be another Hemingway, you've got the time to settle in and write. If you're finding yourself short on inspiration, take yourself up to Walloon Lake to check out an actual cottage Ernest Hemingway lived in. There's even a complete Hemingway Tour to let you see Michigan the same way he did, and when you're following in that man's footsteps, you might well get just the idea you need. Granted, when people think of waterfalls in Michigan, the first thing that comes to mind is Tahquamenon. But a state that's got as much water as Michigan has plenty more than just that one huge waterfall. Sometimes, all it takes to find an amazing waterfall in Michigan is just a quick conversation with the waiter or waitress bringing your breakfast coffee. Take the local's advice, and be treated to some of the most exciting waterfall-based sights you'll see. Naturally, a point like this is quickly argued by supporters of other dishes, but up in the Upper Peninsula in the town of Trenary, you'll be able to get your hands on Trenary Toast, regarded as some of the best bread around. It's been made since 1928 through a couple of ownership changes, but Trenary Toast at the Trenary Home Bakery offers up plain, cinnamon, and cinnamon raisin toast, along with vanilla, sugar, cardamom and even chocolate-coated toast. Mackinac Island's Grand Hotel makes a strong case for being the best porch around. $10 gets you access to the porch as well as to several of the Grand Hotel's shops, but the porch might be the real winner. With drink service and snack service on hand, as well as some of the best views around of Lake Huron, the Mackinac Bridge, and the hotel's geraniums—which have won prizes previously—your $10 gets you as much time as you'd like, within business hours. Did you know there are actually several different “wine countries” in Michigan? There's the Leelanau region in Northern Lower Michigan, there's the Southeast Michigan Wine Region around Lake Erie and home to the Pioneer Wine Trail, and there's the Lake Michigan Shore Wine Trail running along the southeast coast of Michigan. Michigan wines are that combination of noteworthy and underappreciated that made CNN Travel point them out specifically in a 2015 study. With a host of wineries in that roster, you'll be able to find your favorite and follow it from vineyard to bottling...and probably even tasting. Maybe it's been years since your last one. Maybe it's been decades. But today's coasters are better and safer than ever, as you'll discover at Michigan's Adventure. Home to thrills sufficient for just about anyone of any age, you'll have a variety of options here, from the simple for the youngest grandchild to the most hair-raising for the retiree who's forgot his age. If you're looking for a workout—and man, what a workout—then consider following the sun on horseback. The Shore-to-Shore Trail, connecting Oscoda on Lake Huron and Empire on Lake Michigan, allows you to start on one side of the state and follow a trail all the way across, allowing you to effectively follow the sun's path from east to west. Start with breakfast at sunrise and take your mount down the trail. It might take you a couple days, and you'll want to make plans for how you get back, but to be able to cross a state on horseback is no mean feat.